As an IATA accredited travel agent operating in Republic of Macedonia, we have access to 256 airlines in 117 countries comprising 83% of the total traffic in the World (Available Seat Kilometers). Macedonia is a very fast developing tourist destination and its airports (Skopje and Ohrid) are the fastest growing airports in South-Eastern Europe. 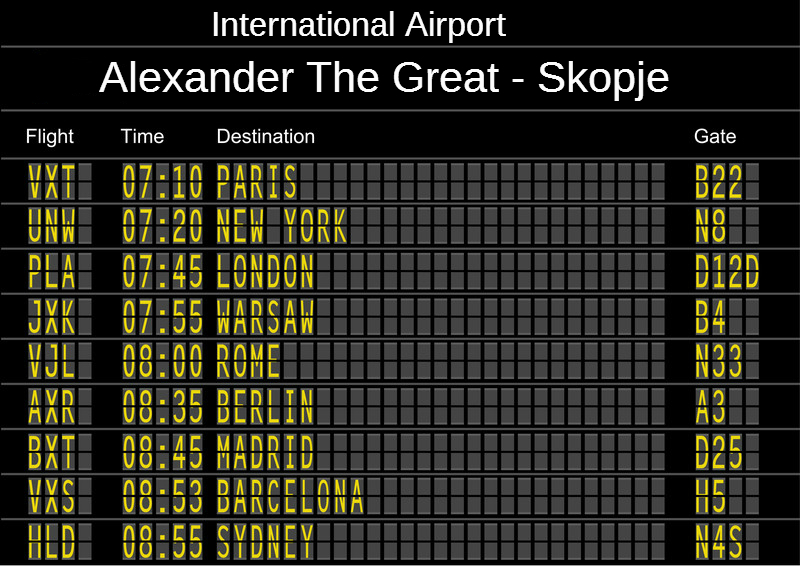 TAV Macedonia in the period January – November 2015 marks 21% increase in the total number of passengers at both Macedonian airports – Skopje Alexander the Great and Ohrid St. Paul the Apostle, reaching 1.435.053 passengers. At the same time, the total number of operations is 14.244, with an increase of 10%. With 30 connections to Skopje Airport and counting, it is getting much easier and cheaper to travel to Macedonia nowadays.